Inexperienced cat owners sometimes gives a shock the sight, when the pet is eagerly eating the soil from the pot. However, this behavior of cats is not a deviation from the norm and do not even reproach drawn up by the owner of the animal's diet, it is a natural desire to fill certain elements in the body. If you notice that the cat is addicted to the earth, will review his food. Most likely, he moved to the "clay" type of food because of a lack of vitamins and minerals. Try to add calcium in food, it can be cheese products, yogurt (no more glasses once every two days), sometimes even crushed egg shells. Consult your vet, he will prescribe your pet the correct rate of complex vitamins, prop that the animal will get rid of bad habits. A recovery time, it is desirable to exclude from a diet of dry food and fill it with natural products since the dry rations lack many nutrients needed for proper development of your cat. Food need to eliminate gradually, for example, replacing the first one of the meals with natural food, and a week the second. The reason for eating earth may be the helminth infections, i.e., parasites, attacking the cat's body, and consuming a huge amount of vital substances. In this case, to help specialty drugs, drink will have a full course, to interrupt which is not even with the onset of visible improvement. Another reason for eating the earth can be banal worms that cause a perverted cat's appetite. To resolve this problem is not difficult. Animal need propeity special cure various types of intestinal worms – Drontal. Also there is a theory that cats eat ground, to clear your stomach. Everyone knows that when the cat washes, in their body in large quantities gets wool. Persistent eating of inedible food can indicate that your pet is trying in this way to clear your stomach from hairballs. In any case, to take the land is not worth it, always remember that nature took care of the animals, awarding them the instincts, including those that will help themselves to get rid of several diseases. It is the concern of a good owner to help the pet and not to miss the moment when "folk" remedies don't work, replacing them with medicines. 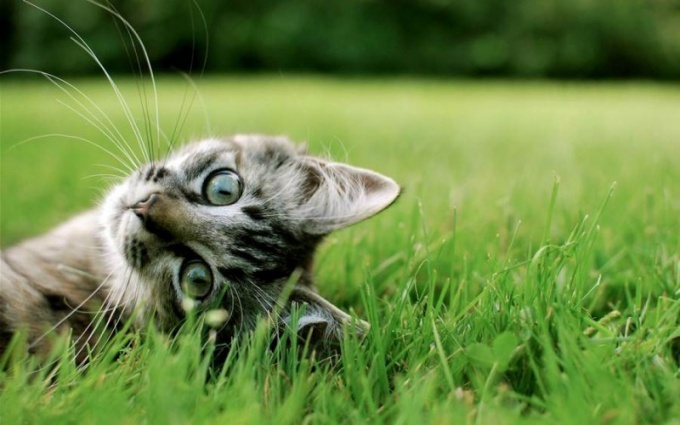 Actively eat dirt start in the first place cats who have a diet of excess meat. If the cat is a predator, it does not mean that it needs to only meat products. Meat reduces the level of calcium in the body, causing rickets and osteoporosis, so let your favorite cereals, or crush the greens, completely eliminate pork and bread.